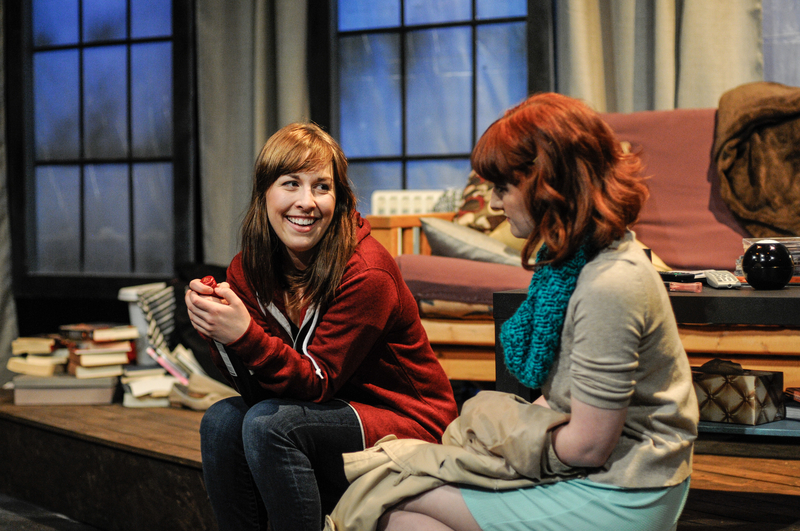 Jenna-Lee Hyde recieved the Saskatoon and Area Theatre Award for Outstanding Female Performance for her portrayal of Callie in this production. 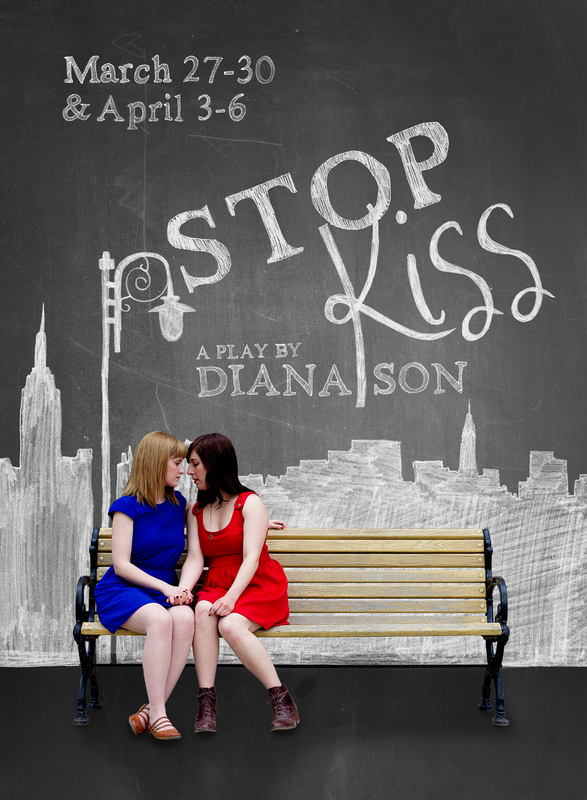 Stop Kiss was nominated for 3 other Saskatoon and Area Theatre Awards in the categories of Direction (Charlie Peters), Sound Design (Gilles Zolty), and Set Design (Jenna Maren). March 27-30 & April 3-6, 2014 Embrace Theatre presented Stop Kiss by Diana Son as part of Live Five‘s 10th Season of independent theatre in Saskatoon. Originally staged as part of the New York Shakespeare Festival in 1998 with a cast that included Sandra Oh, the play remains poignant and moving today. It was a sell-out run, featuring many nights where people had to be turned away at the door. Each performance was followed by Afterplay, a discussion lead by Embrace Theatre’s community partners which offered audiences a chance to explore the play in an inviting atmosphere. Through scenes alternating between present and past, Callie and Sara’s story unfolds: the two young women meet in lonely New York City; a friendship develops which blossoms into more; they finally kiss. This unleashes a violent reaction that threatens everything. A moving, funny, inspiring play. Embrace Theatre is pleased to have worked with The Avenue Community Centre for Gender and Sexual Diversity, the YWCA Crisis Shelter and Residence, and The USSU Pride Centre on this production. Look what we found during our photo shoot! What a great bridal shop display! 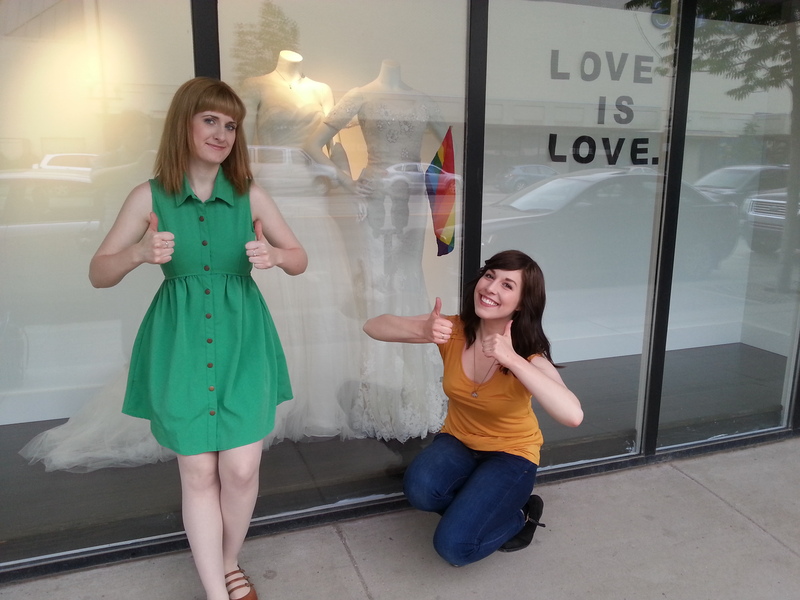 Thanks and kudos go out to The Dress Bridal Boutique for this beautiful window display.